Recognizing the importance of greater access to philosophy for all adults, youth, and children, as well as the scarcity of funds available for philosophy programs, in 2016 PLATO began funding a wide range of innovative philosophy programs with the aim of broadening philosophy’s reach around the United States. Many of the programs funded by PLATO take place in public and other non-traditional settings. Applications are due in January each year, with funding decisions announced in the spring. Information about 2020 funding applications will be available in Fall 2019. Learn how you can apply for a PLATO Philosophy Fund Grant! You must be a PLATO member to apply for funding. You can join here. Then scan (if necessary) and/or upload your answers by clicking on the Application Submission. Allowed file extensions are pdf, png, jpg, gif, doc, docx. Max file size is 16 MB. Download the application (you can find it in the "Apply Now" section to the right of this form). Then print, fill-out, sign and scan it; then you can upload it here. We are excited to highlight the 2019 PLATO funded programs. Thank you to our sponsors and donors for making this funding possible. Buffalo State Lyceum Philosophy Workshop is a free weeklong philosophy workshop for middle and/or high school students to introduce them to philosophical reasoning and topics that are relevant to their lives. SoCal Philosophy Academy Summer Institute is an annual philosophy summer day camp for Ventura and Los Angeles County high school students, with an emphasis on minority students and those historically underrepresented in higher education, on the California Lutheran University campus. The academy introduces students to philosophical analysis and problems in metaphysics, epistemology, and ethics, and teaches them how to construct/reconstruct and evaluate philosophical arguments. 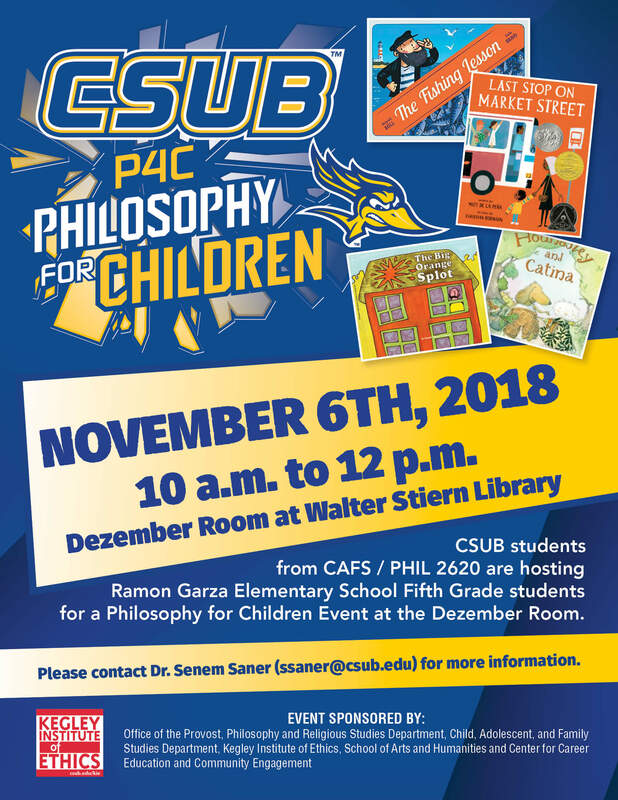 California State University Bakersfield P4C on Campus is a program in which college students lead philosophy conversations at the university library for a visiting group of approximately 160 elementary school children. Volunteer State Lyceum (Tennessee) involves a five-day summer camp on the theme of “Games and Philosophy,” in which students will play board games in the morning and discuss philosophical themes related to those games in the afternoon. UNT Denton Environmental Philosophy with Children Summer Camp (Texas) is a five-day student-led summer camp program with the central theme of “place,” in which a group of philosophers, artists, and local educators collaborate together to provide various philosophical and artistic activities that encourage children to engage in thinking about the nature of place. Longmont Thinks! Community Philosophy Program (Colorado) involves a public information program, community philosophy discussions, and philosophical activities designed to encourage the citizens of Longmont, Colorado, and surrounding towns to make the practice of philosophy part of their everyday lives. P4C at Arthur Christopher Community Center (Charleston, SC) is a program of philosophy for children sessions for children ages 5-12, primarily from low-income African American families, who attend summer programs at the Arthur Christopher Community Center in Charleston, South Carolina.